WIFI VS FOXTEL – WHAT DOES YOUR GUEST VALUE THE MOST? HAVE YOU ASKED YOUR GUESTS LATELY WHAT THEY WANT WHEN STAYING AT A HOTEL/MOTEL/RESORT? Is having Austar/Foxtel in your guests’ room more important to them than wifi? How many of your guests chose to stay with you due to having Austar/Foxtel available? If your guests had to choose between having wifi or having Austar/Foxtel available, what would they prefer? It would be interesting to see what your guests say if they had to answer these questions. A resort owner was kind enough to provide the following figures for me to write this article. So please be aware that the figures quoted reflect a resort/hotel that has 20 apartments and has the Foxtel accommodation package for $500 per month and the wifi figures are based on a 2 year lease specific to this premise (with the ability for 5 users or devices to be connected to the internet from one apartment)) with unlimited broadband to the premise from their ISP. I understand every site is unique and there are different packages available for both Foxtel and broadband. FOXTEL – For $25 per month per apartment, Foxtel provides a family of five, entertainment on one television, in the apartment, in one room. 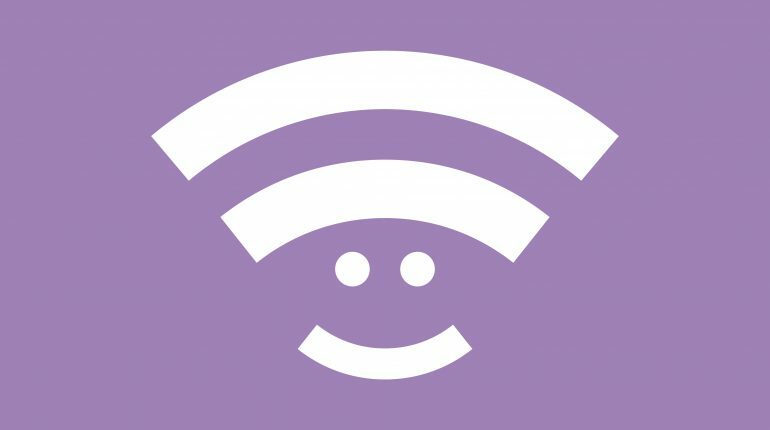 WIFI – For $18 per room per month, wifi provides a family of five, the ability to watch television on line (Foxtel Go if they wish), play an on line game, stream video, be on Facebook and do their emails all at the same time, anywhere in the apartment! I know what I would choose to have available on my holiday if it was raining and I was stuck in an apartment with three kids and a husband! Apart from alcohol, WIFI! Corporate offices are already checking if internet is available for free when booking accommodation for their staff and some businesses have a policy to only stay at venues offering free Internet so their staff can work/stay in contact with no additional cost to the business. On March 17th 2013, Foxtel announced Foxtel Play, Australia’s new no lock in contract, internet delivered TV service to be available across a range of computers, TVs and games consoles. Launching in June this year, Foxtel Play customers will be able to watch TV shows and movies across multiple internet connected devices including selected connected TV’s and games consoles at home as well as on the move with compatible smartphones, tablets and PC and Mac computers through the Foxtel Go app. Foxtel Play will enable customers to subscribe by the month with no lock in contracts and build their own entertainment service from a range of genre based channel packages starting from $25 per month. At launch, Foxtel Play will provide over 40 channels and more than 2000 catch up video on demand titles including programming from some of the most well loved channel brands across movies and premium drama, documentaries, entertainment, kids and live sports. A study by the 2012 International Communications and Market Report, commissioned by Ofcom, compared the UK and 16 comparator countries: France, Germany, Italy, the US, Canada, Japan, Australia, Spain, the Netherlands, Sweden, Ireland, Poland, Brazil, Russia, India and China. The report found that Australians spend more per person on phone and internet services than people in almost any other country. The study found that Australia has the highest mobile broadband penetration rate in the group with 25.2 connections per 100 citizens. And Australia remains one of the few countries, alongside Spain, Brazil and Italy, where free-to-air television remains more popular than pay TV. Accommodation providers need to start looking at free wifi for guests as a value added ‘must have’ not a ‘nice to have’ service. The Internet is not going away. Demand for wifi is growing and decisions on where to stay are being made on whether access can be gained, for free, to the internet whilst staying with you. I think you will find that Internet has won the battle against Foxtel in the home. Have a think about how many homes have Foxtel compared to how many have the Internet? No one is booking with you because you have Foxtel. I can stream my footy game on line – I don’t need your Foxtel if I have wifi!